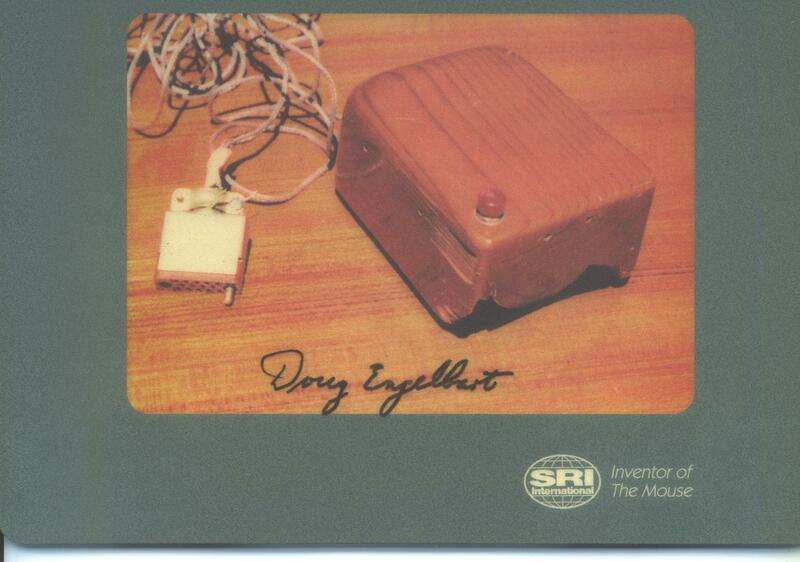 Jan. 30, 2014 Thinking pensively about the late, great Doug Engelbart on this birthday today, as he would’ve been 89. Let’s celebrate his spirit by raising the collective knowledge for humanity…and applying it every day of our lives! How can we best use media and technology to raise the collective IQ of humanity toward problem solving? Where have we been, where are we going, what will this mean for youth and kids of the future? How do we collectively use technology to map our future with integrity mindful of the perspectives of others and future generations? Names like Rihanna, Zac, Mandy, Corbin, Miley, Miranda et al may resonate with youth but no one could even tell me who co-founded Apple, despite the fact that ipods, iphones, and assorted accoutrement were literally hanging from the kids’ ear buds, belt loops, hip pockets and backpacks. Wow. Maybe Steve Wozniak will get a recognition pop from his guest appearance on Dancing with the Stars? 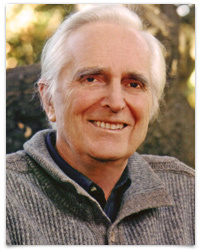 I’m not saying Doug Engelbart’s name will ever be a ‘household word’ among youth, but I AM saying that when Shaping Youth was asked to pair with ‘Celebrities for a Cause’ on the Facebook Marketplace/Oodle cause classifieds (’09), I immediately thought of Doug as the man closest to our vision. Now more than ever, raising the collective IQ of humanity through knowledge and positive media pursuits for advancement of the sustainability of our planet is critical. 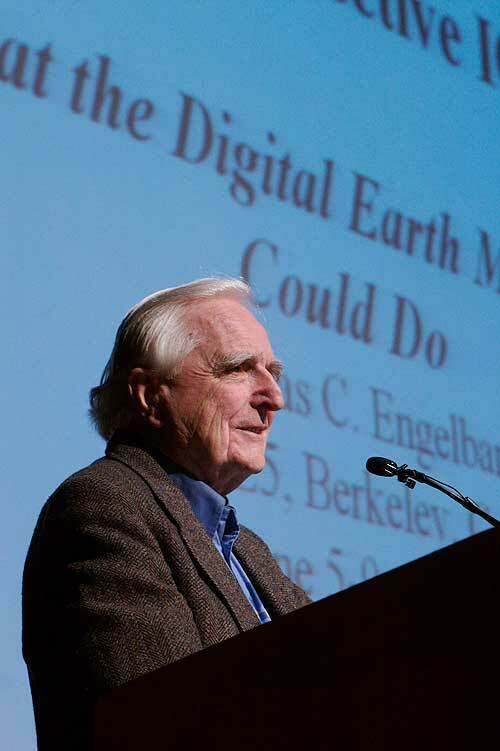 We’re honored to have Dr. Douglas C. Engelbart offer some digital history and perspective for youth and educators everywhere to support Shaping Youth. Timing couldn’t be better, given the bleak economy and clamp down in donor dollars, as the idea of selling things you aren’t using is sublime. Think of it as a virtual garage sale among 175 million users…What better way to support Shaping Youth with a quick click that won’t cost you a dime? 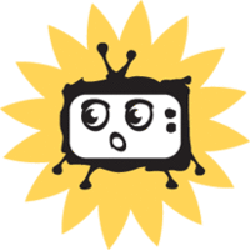 And by the way, Doug Engelbart and Shaping Youth will be ‘featured’ as the cause of the day on March 23, 2009, so post some arcane, fascinating, or just useful offerings to get in on the fun and help support us without ever opening your wallet! The mural is a 100-year timeline of the Co-Evolution of technology/human tools to raise humanity’s collective IQ for global problem solving. Shaping Youth uses counter-marketing and media literacy tactics to lift the veil and peek at the psychological agenda of selling insecurity for profit. And…we tackle the problem from the inside out, recruiting powerhouse thinkers, technologists, animators, film directors within advertising, (skilled in persuasion and motivation) to use the same entertainment tactics and techniques to enlighten and inform by flipping harmful messages into productive pursuits. How can we tackle this problem with the brightest minds using media and marketing prowess, from the inside out to create more meaningful content? How can we reverse the trend of undermining children’s emotional and physical health with junk food for the mind (and body) that’s eroding kids’ self-worth? We ‘rewire’ the power of media and marketing to shift the energy in a positive direction, inspiring actions that create sustainable change. Why? Because we feel the influence of media and marketing is defining kids before they can even define themselves. Technology, social media, and the digital sphere have incomparable reach and ability to influence, and we’d like to see it be positive and productive, contributing to health over harm with regard to humanity and cues being sent to children. Example? 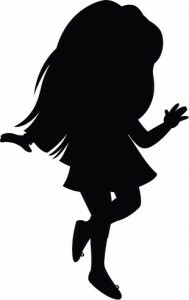 Sure, she’s being ‘productized’ into COMPUTER integration, but for what? To LEARN and explore the world around her OR to hunt for jewels via shopping expedition and mallrat mentality? 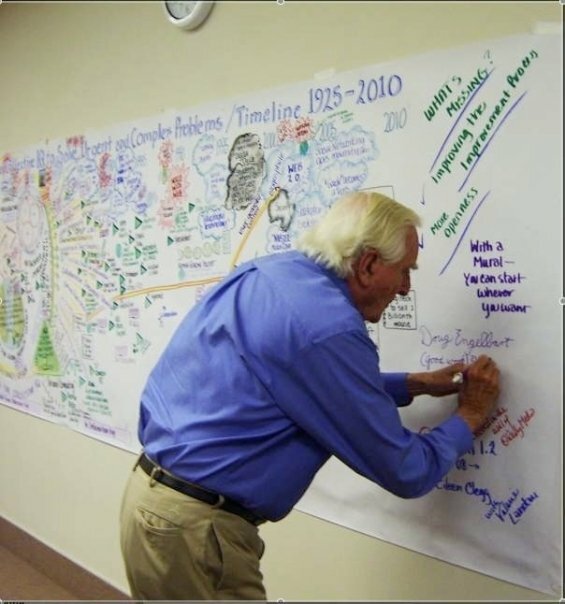 Thank you, Dr. Engelbart, for sharing your visionary outlook for the future and for your ongoing support of Shaping Youth and our vibrant NextNow Collaboratory of thinkers and do-ers. I hope some fresh young faces will now remember your name…AND your legacy forevermore. Dear Amy – So lovely to see this tribute to Doug and reminder of 2009 and your support. Happy Birthday Doug! I always remember what Jim Spohrer said once about Doug, and I’m paraphasing here – that early in his life Doug had “seen the other side” and spent the rest of his life trying to explain it to the rest of us. As Alan Kay said, “he’d seen the promised land.” If there is one (and I would say yes), he is there now. We were all so changed by his vision for humanity and your post reminds me — keep up the work! 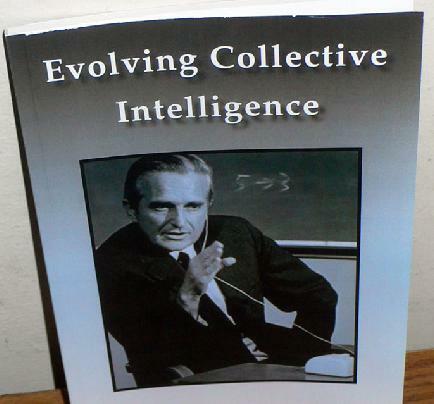 Viva Collective IQ!